We've all done it: continued to use the remainder of the diapers in a certain size because they "still fit" and we have 50 more to get through. Or, if you're like me and a first time mom, it might take you a few days to realize that poop suddenly escaping the diaper is a sign that its time to move up a size, even if the diaper appears to fit perfectly. I tried spot treating these stains with Shout, soaking overnight in Oxyclean, washing pjs a couple of times and I couldn't get these awful stains out. And all of these methods are pretty abrasive and left the clothing looking not quite new. 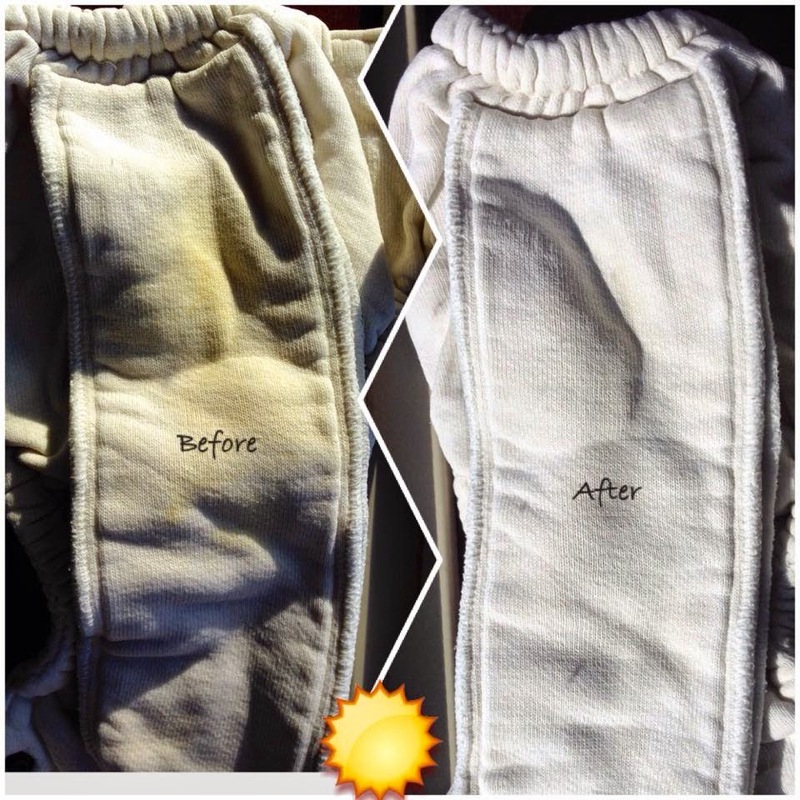 As a result of cloth diapering, I found an absolutely free and very simple solution... sunshine! Stains easily disappear with no rubbing or soaking when drying in the sun. This strategy works especially well on 100% cotton clothing, which is the case for most baby clothes, but I've succeeded in using it on other fabrics as well. So, how do you do it? This approach works very quickly if the stain is fresh, but even a set in stain will disappear. You can repeat 1 and 2 a few times for really set in stains.